Do you still make the boxed kind of Mac & Cheese? We did for the longest time. It was just so quick and easy to pick it up at the store and fix it as a quick side dish or a something for the kids to eat. But then I started to think about all the extra preservatives and colors in there … and let’s face it, that yellow powder that comes with the box kind is not cheese. I started playing around with some homemade recipes and came up with this version. Boil macaroni until it is just tender, then drain. Meanwhile, spray a casserole dish with nonstick spray. After draining macaroni, pour 1/2 macaroni into casserole dish. 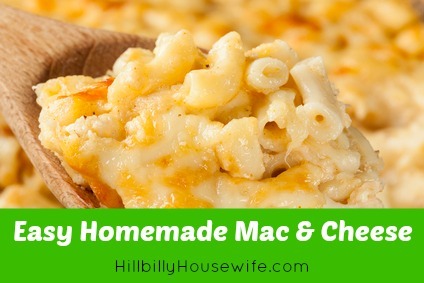 Arrange 1/2 of the pieces of butter on top of the macaroni, then top with 1/2 of the shredded cheese. Repeat layers again. Pour milk over the top and add a sprinkling of salt and pepper to taste. Bake at 350 degrees, uncovered, for 40 to 45 minutes. No more need for boxed mixes. This is just as easy, if not easier; you don’t have to stand and stir a pot. While this takes a little time, it is well worth it. If you are in a hurry, just boil some pasta, drain it, put it in a bowl and add a little butter and grated cheese. Stir it all up and serve. It’s not as good as the recipe above, but much tastier and healthier than the box kind. 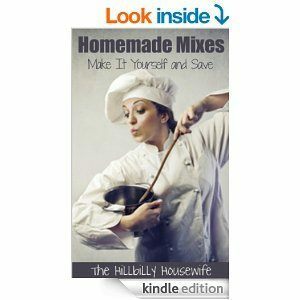 For more delicious recipes that are easy to make and work just as well for a weeknight dinner as they do when you want to make a meal and take it to someone else, look at the Kindle Cookbook below. 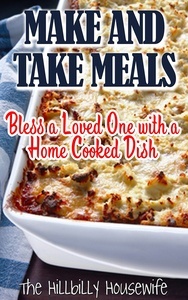 There’s nothing more thoughtful than blessing someone with a home cooked meal – an elderly neighbor, your friend who just had her first child, your coworker who is recovering from surgery. There are so many reasons to bring someone a nice meal to take the burden off of them or for no reason at all. Just to show your appreciation for that person. I’ve gathered some of my favorite make and take meals so you can brighten up a loved one’s day. But first we’ll take a closer look at why sharing kindness with food is more important now than ever, who may appreciate a home-cooked meal in your own community and circle of influence and what the etiquette is when it comes to taking a meal to someone. I also share my best practical tips and tricks to make this a snap and to make sure you are always prepared to make and take a meal.